Does writing a good list make you feel as good as it does me? Sometimes, when life is overwhelming, or there is nothing to eat in the fridge, or you adopt new cats and just need to remember every little detail of everything you want to remember, you write a list. I, on the other hand, take any major or minor life event or occurrence and list about it. Take, for example, my “where to bring my career” list where I list out all possible options for next steps in my career. Or my “what to buy when in the U.S.” list where I write down things I can only ever seem to find at home. Or my “good dinner ideas” list, “books to read”, “places to travel”, “fitness goals”…I think you get the point. Anything is list-worthy and listable, no event or task too small. And sometimes, even if it wasn’t on a list to begin with, I accomplish something I want to remember so I add it onto one of my many lists, just to feel the satisfaction of crossing it out. Yes, my friends, I’m a list-o-maniac, or a list-o-holic, if you will. But I suppose there are worse vices one could have. Do you list about it? Or perhaps you have another quirky vice? P.S. 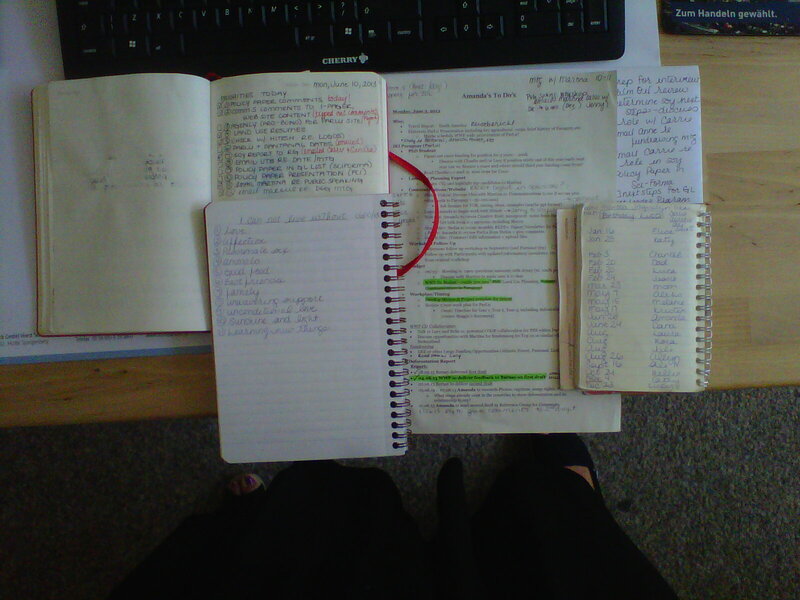 Those are actually 3 different notebooks and two different pieces of paper I actively list on.